Course Description: Participants in these workshops will learn the difference between accommodations and modifications/specially designed instruction. Strategies for how to define accommodations within the IEP and how to establish necessary modifications for students will be presented. In addition, participants will learn the role of general educators, and all educators, regarding accommodations and the District Curriculum Accommodation Plan (DCAP). Attention will be focused on specially designed instruction concepts regarding content, methodology/delivery of instruction, and performance criteria. Materials: Participants are encouraged to bring IEPs with them to apply the theoretical concepts to existing IEPs. Please note that any IEP used must be redacted of all identifiable information including but not limited to: student name, address, SASID or any other information that could impact confidentiality. Presenter: Allan Blume is a former Associate Professor of Practice in Special Education at Simmons College. Allan’s primary areas of instruction and expertise are the laws, regulations and processes of special education as well as state and federal requirements for the provision of special education services. Prior to Simmons, Allan worked for 18 years as a special-education teacher in public schools and educational collaboratives in Massachusetts. He consults on federal and state special-education regulations, transition services and other education topics with universities, public and private schools and collaboratives, both in the United States and internationally. Registration: Requests for withdrawals and refunds must be made prior to deadline 4/05/19. All cancellations subject to a $50 administration fee. Questions email Sherri Tetrault at stetrault@smecollaborative.org or call 508-9985599 ex 130. Please make check payable to SMEC. Mail payment and completed form to SMEC, 25 Russells Mills Rd, Dartmouth MA 02748. We do not accept charge cards. Course Description: Using a carousel style workshop, participants will choose 1 (or 2) apps to explore. Each group will present a quick summary and classroom implications. This course is hands on. Mr. Burdman has been a Boston Public School teacher for the past eighteen years. 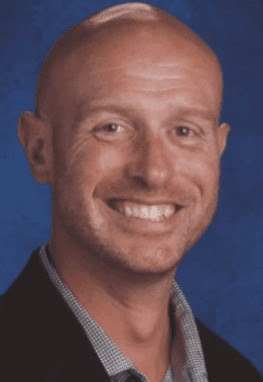 Having taught both math and science at the Elementary and Middle School levels, he now serves as the STEM teacher at the Tynan Elementary School. In 2011 Mr. Burdman was awarded Boston Public Schools “Golden Apple” teacher of the year award. Above all else Mr. Burdman tries to give students the opportunity to engage in meaningful, real world experiences that are challenging and cognitively demanding using the latest and greatest technologies. Course Description: Using the Makers Empire and Tinkercad software participants will learn the basics of 3D design. As a group we will discuss how to best introduce and implement a 3D design program into your given curriculum. Participants will be able to keep their creations!